The Department of Professional Counseling in Webster's College of Arts & Sciences hosts a multi-campus workshop Sept. 10 on "Treating Developmental Trauma: Working with the Inner Child," hosted by Hsin-Hsin Huang, assistant professor at Webster. 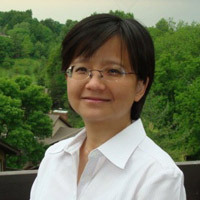 Huang, a practicing clinician for over 15 years, specializes in treating trauma and facilitating the integration of spiritual and psychological growth. The workshop is ideally suited for counselors, social workers, psychologists, and other helping professionals who would like to advance their understanding in developmental trauma as well as learn strategies to work with such trauma. Participants can attend at the home campus in Webster Groves (East Academic Building room 137), where Webster University was founded in 1915, as well as at Webster's South Carolina campus locations (via WebEx) in Greenville, Columbia, Myrtle Beach and Charleston. This event is free and open to the public. Participants who would like continuing education credits can pay $20 in advance or $30 on site for 3 NBCC clock hours. Register for CE credit at https://commerce.cashnet.com/websterprofcounseling.